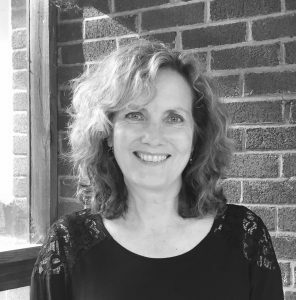 Debra Nystrom is the author of four poetry collections: A Quarter Turn, Torn Sky, Bad River Road, and most recently, Night Sky Frequencies (Sheep Meadow Press, 2016). Her work has appeared in numerous journals and anthologies, including Best American Poetry, The New Yorker, Slate, Ploughshares, The Kenyon Review and The American Poetry Review, and has been reprinted on Poetry Daily, The Writer’s Almanac and The Poetry Foundation’s American Life in Poetry. Nystrom is the recipient of the James Dickey Award from Five Points, The Virginia Quarterly Review’s Balch Poetry Award, the James Boatwright Prize from Shenandoah and The Virginia Prize for Poetry, and she has been awarded fellowships from The Virginia Commission for the Arts and The Virginia Foundation for the Humanities. She teaches in the MFA Program at The University of Virginia and lives in Charlottesville, Virginia.